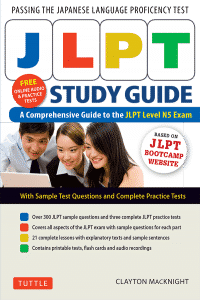 Welcome everyone, this is Mac with another N5 Grammar Lesson from JLPT Boot Camp. Last episode, we learned about the present tense. Today, we are going learn how to use the past tense in casual and polite forms. We are going to look at a few, very short exchanges. Let’s give it a try. Let’s join Matt and Yu talking on a date. Since they are friends, they will be using the casual form. What did (you) do yesterday? Matt and Yu are using the casual past form. To form this you must change the last kana of the verb. For group 1 verbs, there are many forms to remember. If the verb ends inす, you change it to した, く change it to いた, ぐ change it to いだ, む, ぶ, or ぬ change it to んだ, る or う change it to った. This is a lot to get used to obviously, so I recommend practicing how to conjugate a verb when you first encounter it. The more comfortable you are with these the better. Let’s practice a few of these. We’ll give you the verb; you give me the past casual form. Move your mouse over the word to see the answer. I’ve included a helpful chart in the PDF to help you practice with this. Let’s make a slightly longer sentence with つくる, to make. Can you make the casual past tense? That’s right. Now, how about something longer? Say “Yesterday, (I) made dinner.” And dinner in Japanese is ばんごはん. Now for group 2, all you need to do is take the last kana off and add た. Can you try it with おりる, to get off (the train)? Can you give me the casual past tense? Pretty easy right? Let’s make a simple sentence with that. Can you say “I got off at Osaka Station?” Osaka station is 大阪駅おおさかえき in Japanese, while “at” in this situation would be the で particle. I got off at Osaka Station. Finally for group 3, irregulars, 来くる becomes 来きた, する becomes した. An oddball here is the verb 行いく, to go. For the casual past tense, it is 行いった. Note the ちいさい つ between い and た.
Let’s try a simple sentence. Can you say “I went to the store?” And store in Japanese is おみせ. Exactly! All right, now let’s go back to the conversation between Matt and Yu. Did (you) eat by (your)self? Uun, hitoride tabenakattayo. Nekoto tabeta. No, (I) didn’t eat by (my)self. (I) ate with my cat. Ok, so Yu is using the negative casual past form. In the previous episode, we went over how to form the negative for the non-past tense. In order to make it about the past we simply need to cut off the final い and add かった, which is exactly how we form the past tense of い-adjectives. A quick reminder, for group 1 verbs, to form the negative, you change the final kana to the あ row of kana and add ない. For group 2, you cut off the final kana and add ない. For group 3, for する you have しない and for 来くる, 来こない. Let’s try it now with 行いく, to go. Can you tell me the past negative form? (I) didn’t go to the party. Nice work! Let’s go back to Matt. Now, he is talking to his co-worker, so he needs to be polite. Let’s go back to Matt and his co-worker. The next day, Matt’s co-worker asks about his hobbies as well. What did (you) do on the weekend? Matt responds with 東京とうきょう, Tokyo, に, particle used to mark a time or location, and finally 行いきました, went. And now Matt and his co-worker are using the polite past form. This is formed in a very similar way to how the non-past polite form is. You need to first get the verb stem or the ます stem by changing the final kana to the い row of kana for group 1 verbs, and for group 2 verbs. For group 3, for する you have し and for 来くる, き. Once you have the stem, just add ました to form the polite past. Can you try it now with あらう, to wash? Exactly! You change the う to い and add ました. Now, how about a little bit longer sentence? Can you say “(I) washed my hands.” And hand or hands in Japanese is 手. Great! Keep in mind that you don’t have to mention the topic, I. It can be implied from context. Let’s finish that polite conversation between Matt and his co-worker. No, (I) didn’t buy (omiyage). (I) forgot. Sorry. Matt responds with いえ, no, 買かいませんでした, the polite past negative form of 買かう, to buy, next わすれました, polite past tense of わすれる, to forget, and finally すみません, sorry. Now, if you are not familiar, in Japan it’s very common to buy some kind of souvenir or omiyage for your co-workers when you go on a trip. Typically, people buy some kind of food that can be easily shared. Matt is using the polite negative past form, which is quite easy to form as well. Simply add でした to the non-past polite form and you’ve got it. Let’s give it a try with 飲のむ. First, what is the non-past polite negative form? That’s right, change the last kana to the い row of kana and add ません. Now, can you make it about the past? Right! Can you make it a little longer? Can you say “(I) didn’t drink beer.”? And, beer in Japanese is ビール. Good work! Let’s check your understanding with a final pop quiz. I’ll give you an English phrase, please give me the Japanese. And understand that the particles aren’t important for now. We’ll go over them in later videos. Concentrate on getting the verbs formed correctly. Now this is the casual form not the polite form. And a little hint, station in Japanese is 駅 and “to walk” is あるく. “I walked to the station”, would be “駅えきまで あるいた”, in Japanese. Breaking that down, 駅えき, station, まで, a particle used to mark an endpoint, and finally あるいた, the casual past tense of あるく. Remember that group 1 verbs that end in く change to いた at the end except for 行いく. It’s irregular. For 行いく, to go, we say 行いった. Again this is casual. And ‘to run’ is はしる in Japanese. “I didn’t run to the station”, would be “駅えきまで はしらなかった”, in Japanese. Breaking that down, again 駅えき, station, まで, a particle marking an endpoint, はしらなかった, the negative past form of はしる, to run. This time, can you give me the polite form? And ‘to pay’ is はらう in Japanese. This one is simple, はらいました is the polite past form of はらう, to pay. Again, this is polite. And ‘to study’ is べんきょうする in Japanese. The polite past negative form of べんきょう する is べんきょうしませんでした. Remember, that する is irregular. The affirmative form is します, and the negative form is しません. Let’s review everything we went over today. We learned about how to form the casual past tense, which is especially tricky for group 1 verbs – す becomes した, く becomes いた, ぐ becomes いだ, む, ぶ, ぬ become んだ, る and う become った. Practice this often and whenever you learn a new group 1 verb ask yourself about how to change it into the past tense. For group 2, it is quite easy, just remove the last kana and add た. For group 3, する becomes した, 来くるbecomes 来きた. And one more irregular you will have to remember is 行いく, to go, which becomes 行いった for the past tense. For the casual negative past form, first change the verb to the non-past negative form, then just take the final い and add かった. For the polite form, take the ますstem and add ました, or for the negative form, add ませんでした.